Queen City Storm is not your average All-Star cheerleading squad. 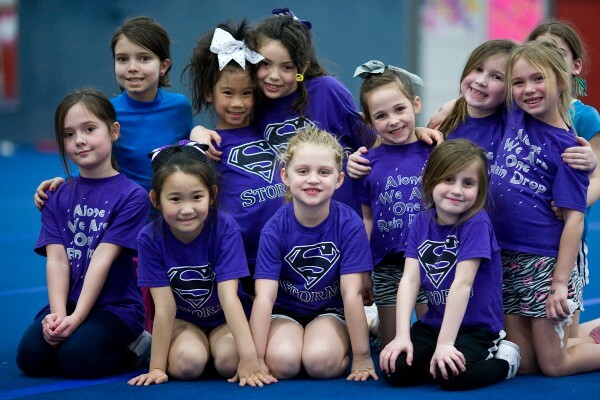 Queen City Storm is recognized as being an athlete centered, age appropriate, and progression based cheerleading program. Athlete Centered: With a program like Queen City Storm you are not just a number. We want you to feel like part of the family. We have a mentor program for the athletes, a parent boosters group, team parties/banquets, and team activities used to form bonds in the program. Coaches are here to help the athletes set realistic goals for themselves and team. Teaching them that hard work can lead to accomplishing a goal. Success does not come without planning, hard work, and sometimes sacrifice. Using positive motivation, such as catching the athlete doing things right, and being enthusiastic keeps the athletes striving to improve themselves and excited about the sport. Age Appropriate: We believe kids should be kids that is the reason our athletes wear full coverage tops and skirts. Our look and cheerleading style is clean, athletic, and polished! Make-up is minimal. Our choreography and music highlights the team's strength. Progression Based: The most important thing is safety. We teach in progressions for a reason. Learning proper technique is essential to ensure safety. The skills that we perform are those that the athletes have mastered. We believe that safety is key to a successful athlete and program. 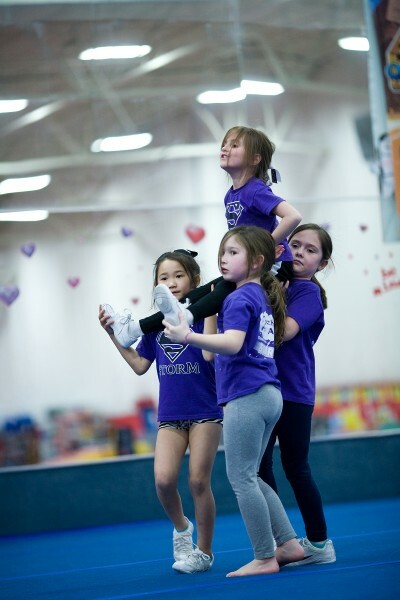 Our incredible training facility is equipped with foam pits, trampolines, and other apparatus for skill building. Come check out the FUN that comes with being a part of a competitive cheer squad. dancing, jumping, tumbling and stunting! Queen City Storm is looking for girls ages 4 -18 to join our family. We have squads that range in ages and abilities, which means that there is a squad for YOU! Contact Heather Zumberge to see how you can become a part of the best cheer programs in Cincinnati.